That’s the question exercising IT and cyber anaylsts over the claims by hacker Chris Roberts that he accessed in-flight entertainment and flight systems from his seat. The claims have been derided by Boeing and aviation experts. Whatever the outcome, it highlights that this is a major security concern. This hacker claimed to have gained control from his passenger seat; but many airlines have now introduced wifi to their aircraft too, a service that is gradually rolling-out globally. So could someone hack into an airliner’s controls from the ground via wifi? Or on-board the aircraft as claimed by Mr Roberts? I’ve worked in software all my life, and my view is that any system can be hacked. We tend to think of software-based systems as something operated by computers, electronic devices, microprocessors etc. Thinking this way can lead us to lose sight of the fundamental fact that all systems are designed and built by human beings, and therefore subject to human error and oversight. Airliners have proved all-too horrifically to be one of the terrorist’s weapons of choice. New aircraft designs use TCP/IP technology for the main aircraft backbone, connecting flight-critical avionics and passenger information and entertainment systems in a manner that virtually makes the aircraft an airborne, interconnected network domain server. There are and should be very real security concerns with this. One key to mitigating the threat will be ensuring that all systems related to flying the aircraft are an “island” – i.e. completely isolated from the non-essential flying systems. Although Mr Robert’s claims have been dismissed, it seems he may have highlighted a very real achilles heal in the systems. If he is to believed, the IES was in fact connected to the avionics. If that is the case, then a way-in could be found. 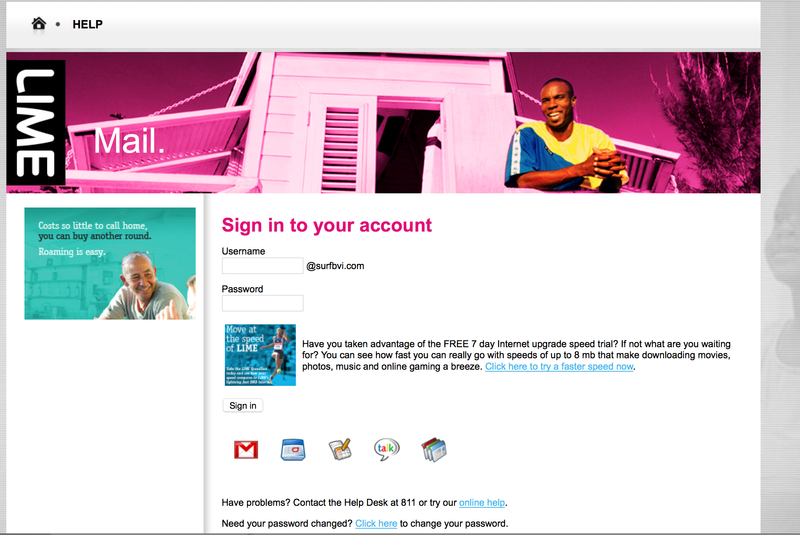 There is presently a targeted E-Mail Phishing campaign against the British Virgin Islands with someone using LIME as the mechanism. They have cloned the Lime Email login site. The actual website that users get sent to is hosted in Greece and they are harvesting email and password information from users that log in. The picture below shows what the email looks like. If you receive an email like this DO NOT CLICK ANY LINKS! Delete it immediately. The following pictures show the source code being used in the attack and the email script. As ever, remain vigilant. If you have even the slightest doubt over the veracity of an email, delete it and contact the company directly. 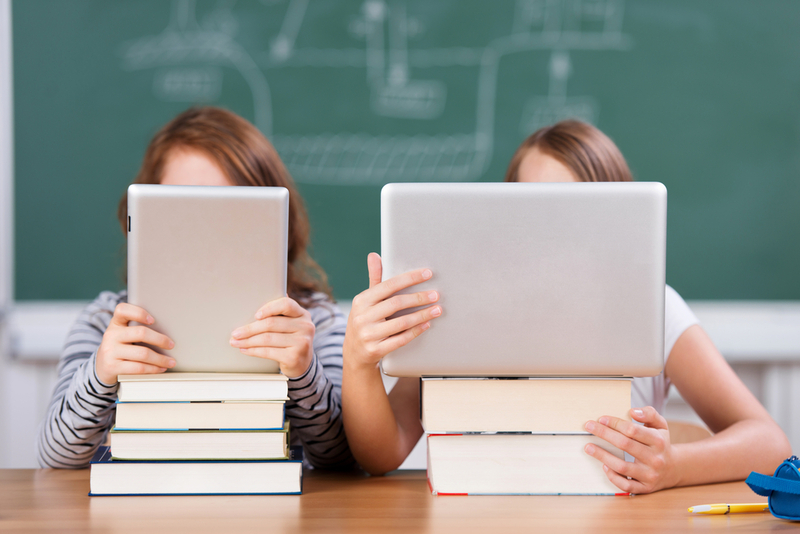 The subject of children and technology tends to be a controversial one, with some aspects of it dividing opinions along unusual demographics that don’t follow traditional patterns such as age and wealth. This begs the question, should children be using tablets and other digital devices for play time? If so, for how long? Unfortunately the very thing that has caused an explosion in tablets is the same thing that makes them seem like even using them is a game – they are incredibly intuitive. While there is no tactile feedback (you can’t ‘feel’ the item you drag or slide), using fingertips to tap, touch and move items is something we begin learning from birth. The reason we don’t allow the children to play electronic games in the car is because they generally have them in their lap, meaning they’ve got their heads down looking at something bouncing around: cue instant car sickness. No, I’m not at all ashamed to admit that one of my favourite TV series as a boy was the Six Million Dollar Man. For those of you have no idea what I’m talking about, the series followed the exploits of an astronaut who lost an eye, arm and both legs in an accident. All were replaced by “bionic” implants and limbs, making him “better than he was before”. Total rubbish right? Well recently I met someone in one of my most uplifting encounters of 2014. His name was “Biscuit” and he was a part of the “Help for Heroes” team that recently visited the BVI from the UK. Biscuit lost one of his lower legs as a soldier in the Middle East conflict, and now has a steel prosthetic. We were having a beer together and we got chatting about it, something he was very happy to do. He tells numerous funny stories about people’s reactions to his leg, typically adults are embarrassed, children less so. Recently a little boy ran up to him in a park yelling “What happened to your leg?”! The boy’s mother was mortified, but Biscuit, quick as a flash answered “it fell off because I didn’t eat my greens”! Exit one suitably chastened child and a big thumbs up from Mum! I don’t know very much about the subject, but since the Six Million Dollar Man I have kept up a passing interest in the technology of prosthetics, not least because of its growing necessity following the horrors of the Iraq and Afghanistan conflicts. Necessity is the mother of invention, and the field of prosthetics has once again proved that tenet. I mentioned to Biscuit my understanding that one of the biggest problems is the human – prosthetic interface, which can cause severe discomfort and blistering on the human part of the limb. He confirmed this, but advised his leg has a carbon fibre lining to counter the problem, which needs to be replaced every couple of months. Carbon fibre! This used to be something from the Space Age, now it’s common place and improving the well-being of people like Biscuit. I mentioned that I had seen a recent TED documentary on this subject, but which also went a lot further. Addressing the interface blistering issue. He has developed a material which, coupled with electronic actuators with purpose-built software, varies its softness or hardness depending on the specific area of the limb it is touching, and also depending on the instantaneous demand being placed on the area at any given time. This has eliminated blisters. Recognising that we don’t need to “replace” the lost limb. As a mountain climber (yes he has continued to do it) he now has several different legs, which he can interchange depending on the conditions – rock, shale, ice, snow etc. They can also be different lengths! Addressing the flexibility requirements of limbs. Human arm and leg sockets are incredibly complex, yet he is developing artificial sockets to address this. He brought on stage a ballroom dancer who lost her leg in the Boston marathon bombing. She demonstrated an ability to dance once again, thanks to his bionic leg development for her. In many respects these bionics have actually improved the individual’s abilities in certain endeavours – e.g. Hugh Herr’s mountain climbing. I never dreamed as a boy that the Six Million Dollar Man would become reality, certainly not in my lifetime. Yet here we are – “Better than he was before”. Boy have we travelled a long way from Long John Silver in Treasure Island. PS If you liked the Six Million Dollar Man, follow this link for some childhood nostalgia! Cloud Computing – what now and what next? The explosion in cloud-based computing and apps has revolutionised the software industry as we new it. No longer is it necessary to pay several thousands of dollars for software, install it on every computer in your business, and then pay an annual licence fee to boot. Today you can obtain free or inexpensive software suitable for small, medium and large enterprises alike, to cover any aspect of a company’s operations. The fact that the software is cloud-based also lends itself to today’s geographically-diversified business environment. Only 20 years ago one of the biggest challenges facing business with the onset of globalisation was the corporate-culture dilemma. In other words, how to maintain a distinctive corporate culture within teams and divisions based all over the world? And how to ensure standardisation of business process and practices across those businesses? Well this challenge that stumped MBA students and CEOs alike has been overcome with the advent of the internet and subsequent development of cloud computing. Let me give you an example. A decade ago I worked for a French multi-national organisation with manufacturing, service and sales outlets based on every continent with the exception of Antarctica. This company was (still is) huge. The internet was still relatively new, e-mail was bedding in. Their chosen solution to the problem of generic corporate processes was one that many organisations chose at that time – an Enterprise Resource Planning system (ERP for short). From a corporate perspective ERP’s were a software panacea. Overnight the company had standardised business practices, imposed by the rigour of the software, ensuring uniformity worldwide. You could hear the executives cries of “Eureka”! every time another site was “ERP’d” (Expressions like that were just one of many reasons I left corporate life, but I digress). Adaptability – the software could not be adapted 100% to diverse requirements. For example, the process requirements for a capital-equipment manufacturing plant are very different to those for a high-volume spare parts warehouse. In short, one-size fits all software was less a solution, more a strait-jacket. CRM software – there are some superb customer relationship management systems available, at a fraction of the cost of just ten years ago. They are also flexible – they can be adapted to the specific requirements of a business, no matter what the size. This solves the problems of flexibility and adaptability that ERPs could not. You can see some examples of CRM software here. ERP Apps – following the lead of ERP systems, yet taking advantage of the Cloud. Google are perhaps the leaders in this, with their Google Apps platform. Sure there have been some failures, but that’s new market trailblazing for you. New markets sort themselves out messily and often with contradiction. The sheer size of Google is allowing them to ride-out failures and learn from them. Moreover, their open-access approach for developers rather neatly helps to dilute the risk of app development, whilst allowing third-party developers to share in the rewards of success. Accounting – once the preserve of specialists, apps now exist online that almost do it all for you. As a small business owner myself, I can’t say enough about how helpful this is. Management accounting reports used to be at least two months out of date when finally put to directors. Today they are available at the touch of a button. In other words you can see how your business is performing right now, allowing you to react to any trends immediately. I’m pleased to see that Quickbooks reacted to the threat that online accounting apps posed to their business model and created Quickbooks online. Other apps are available – take a look at Wave. I could go on, and on, and on, and on. You’ll be relieved to hear that I won’t! Ten years ago we had companies like SAP and Oracle dominating this market. They’re still around of course, but take a look at Google, Facebook and Apple to see how rapidly markets are changing. Who could have predicted their rise ten years ago? Maybe Apple, but no the others, and certainly not me, so I’d be crazy to try and predict the landscape ten years hence. One thing is certain though, Cloud-based software and apps will undoubtedly form a huge part of that landscape, in ways we can only imagine today. Fresh Mango Technologies is the British Virgin Islands’ premier IT support and network services provider. Fresh Mango’s customers include small businesses and personal users, as well as branch offices of larger multinational organizations where the company acts as a local IT service provider or IT department. Maintaining the view that every solution it provides is an opportunity to improve a customer environment, Fresh Mango faces an ongoing challenge when it comes to safeguarding clients’ critical equipment: poor power quality in the region. To ensure that customers are furnished with the best possible solutions, the Fresh Mango team continuously updates its knowledge base to remain appraised of the latest technologies and service offerings. That’s why, for the past year and a half, the company has been supplying Eaton® uninterruptible power systems (UPSs). Despite previously selling UPSs from other manufacturers, Fresh Mango has discovered the cream of the crop in the Eaton product line. “I’ve dealt with nearly all manufacturers, and Eaton UPSs are hands down the most reliable by far,” Bufton enthuses. That unparalleled level of reliability can be attributed, in part, to Active Battery Management (ABM) technology, a feature included in the majority of Eaton UPSs. The unique three-stage battery charging technique not only increases battery service life by 50 percent, but also optimizes battery recharge time and provides up to a 60-day advanced notification when batteries are approaching the end of their useful life. “The batteries take a beating here, and ABM is great,” Bufton reports. The lead-acid batteries typically used in a UPS are considered viable as long as they can maintain backup times of at least half that of new batteries. Virtually all UPSs on the market today ― except for Eaton’s ― feature batteries that are constantly trickle charged, which continuously forces energy into a battery that is effectively already full. As a result, these batteries reach the end of their useful life in less than half the time of batteries that are charged using ABM. It’s a claim that Bufton has witnessed firsthand with his own eyes. The IT manager recalls standing in front of a shared rack that housed a non-Eaton UPS and an Eaton 9130 — with each UPS supporting a different client’s equipment — when a large surge and brownout struck the building. Bufton is quick to share this experience with his customers who are considering other power protection options. The IT manager is also quick to praise Eaton’s three-year warranty, which covers both the UPS and its batteries. “No other manufacturer supports a three-year, on-island warranty,” he reveals. In addition to superior products, Eaton also delivers valuable benefits to its resellers. Rather than limiting resources to only the top partner tier like many other programs do, the company offers a wealth of key tools to all partners. In this way, even smaller companies like Fresh Mango have the opportunity to easily grow a prosperous UPS business through activities including product training, Market Development Funds (MDF) and proven sales tools. For Fresh Mango, learning about the Eaton UPS product line was simple, thanks to training provided by the local Eaton distributor, Parts & Power. “They have been great,” Bufton says. In addition, the company has taken advantage of literature and other marketing tools that have made the sales process as easy as an island breeze. “Eaton has been proactive in supplying great marketing materials,” Bufton confirms. For more information on Fresh Mango Technologies and their Eaton activities, visit their website www.Freshmango.com or contact them by email at office@freshmango.com. Established in 2008, Fresh Mango Technologies has grown to become the British Virgin Islands’ premier IT support and network services provider. Boasting an established infrastructure and a large, talented team with a wide range of specialist skills, the company maintains an unwavering commitment to customer satisfaction and project success. Backed by decades of collective experience in enterprise systems, Fresh Mango offers a broad range of IT services and solutions, including secure offshore hosting, backup solutions, network deployment and management, web development, and desktop and user support. Regular readers will recognise Cyber Security as a common theme of my blogs. Without wishing to sound shrill it is getting worse – attacks are becoming more frequent, more sophisticated and more successful. Worse, this is no longer limited to major retailers and banks (eg Target), but small businesses and individuals are falling victim to cyber attack. On this blog I can provide three examples that have occurred in the BVI in the past week. Read on…. 1) Our client called us in because they were having non-specific IT and email problems. On investigation we found their email had been hacked, giving access to all their past and current emails to the hacker. However, what had happened next was scary. The hacker, with access to their previous emails, posed as a regular supplier based in the US. They sent utterly convincing emails to our client, culminating in a “change of bank account” email. All of this was highly authentic, with the only clue to the scam being the server account the emails were sent from. Our client understandably trusted the emails and duly changed the bank account. Only after several thousand dollars were transferred to it did they discover the scam, by which time of course it was too late. One way to have averted this was to spot that the emails were from a different server – not easy in these days of “name only” emails. The other was to change their own email address entirely after the initial hack, and inform known suppliers and customers of the new email address. Of course they would have needed to realise the hack had taken place to do this…. 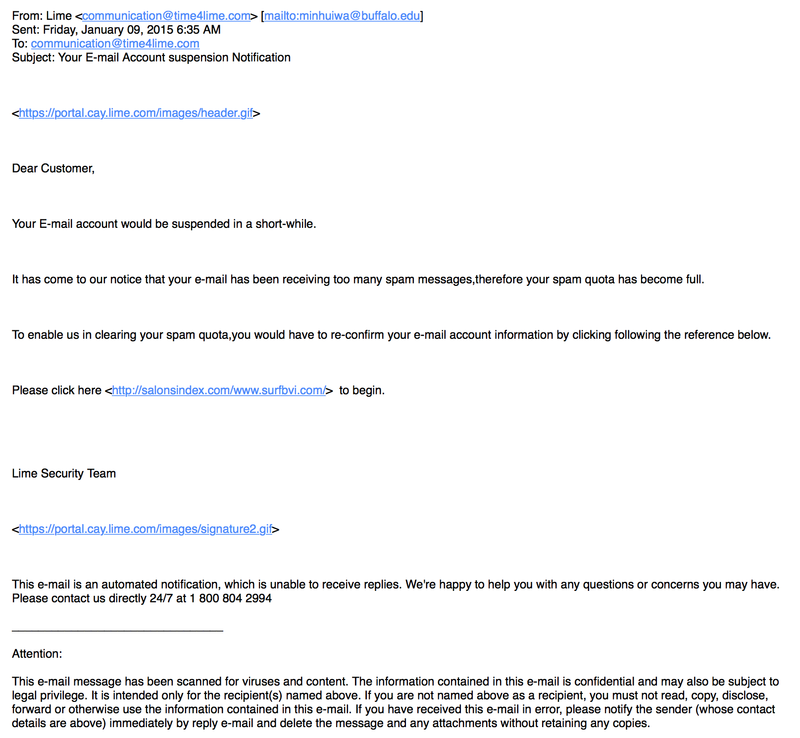 2) A client received a “Phishing” email purportedly from Amazon.com. Again, very convincing, it looked exactly like an email you would receive from Amazon. This one was an order acknowledgment which included a “click this link” if you had’t placed the order. The client had not placed the order, clicked the link and BAM! – malicious software was uploaded to their computer and all their online accounts were immediately compromised. Fortunately we spotted it before the attackers were able to make any monetary gain. 3) I personally received a “change of password” notification to one of my email accounts. This included a link to click in the event that I had not actually changed my password, so my email provider could investigate. Not having changed my password, my finger was poised on the mouse about to press the link when alarm bells went off in my head. Rather than click, I hovered over the link so the address would pop-up. Sure enough it was an address unrelated to my email provider – it was a phishing email. I was millimeters from clicking a link which would have downloaded malicious software to my computer, with all the misery that would then follow. Was I pleased with myself for not clicking the link? Not really. I was relieved at such a close call. But then I thought about it – I write about cyber security almost every day on social media and blogs. Yet I had almost fallen foul. People with less awareness, or more likely busy people simply trying to get through their emails, could easily fall victim. Penetration test – have a cyber security expert attempt to hack into your system remotely so as to expose any weaknesses and plug the gaps. Don’t kid yourself – a good expert will gain access. The question is how easily can they do so? Sorry folks, there is no good news on this one. Today’s thief is unlikely to break into your home and steal the DVD player. They’re more likely to be thousands of miles away, want to steal your identity and then empty the contents of your bank account.